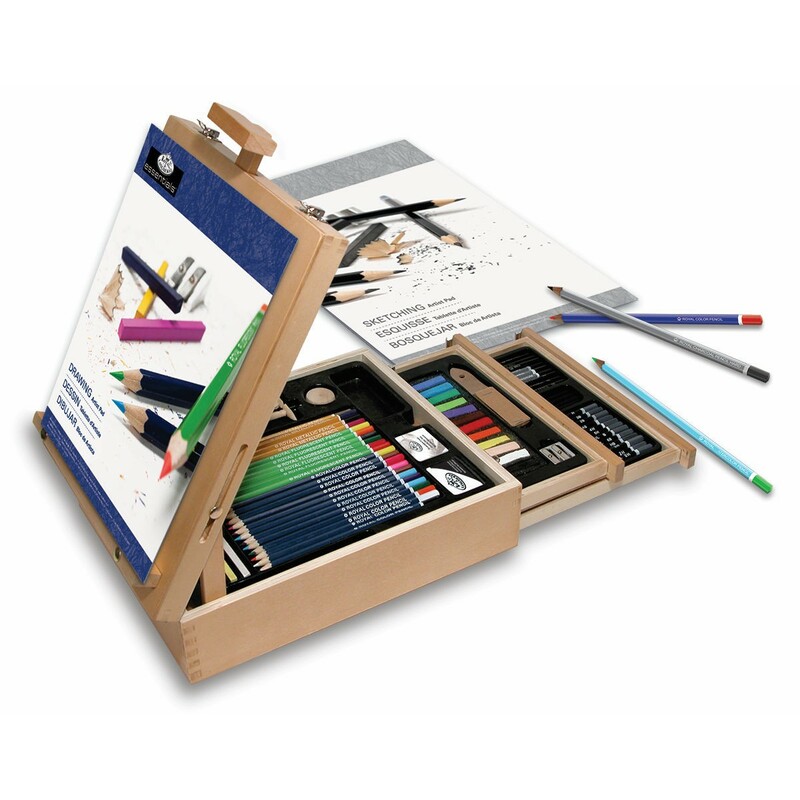 Royal & Langickel sketching and drawing easel 124 pieces. 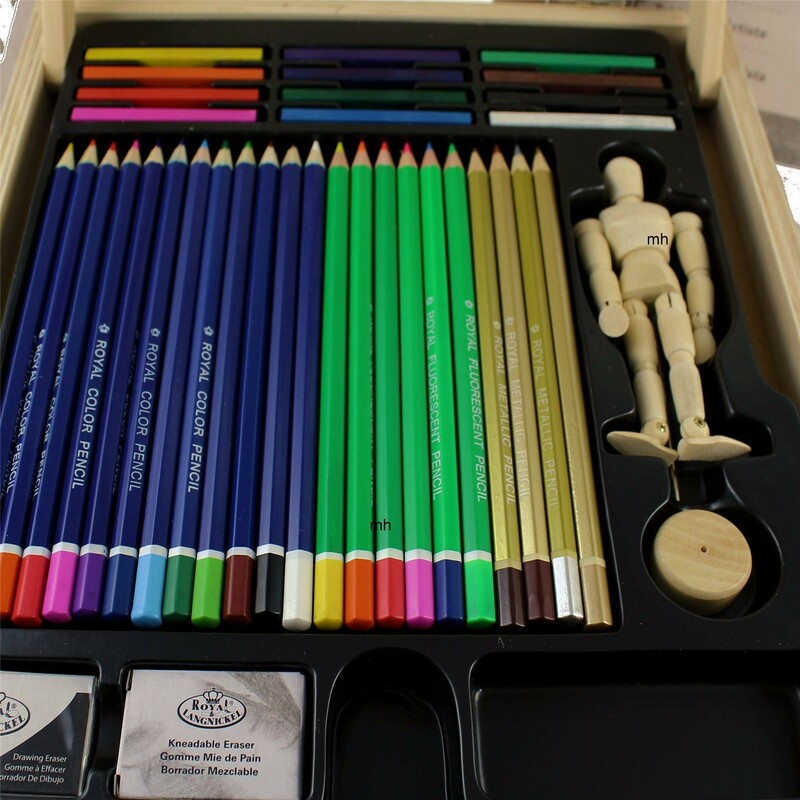 This set was curated for artists who want to focus on sketching and drawing. 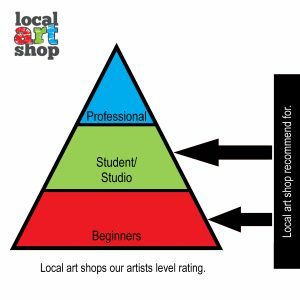 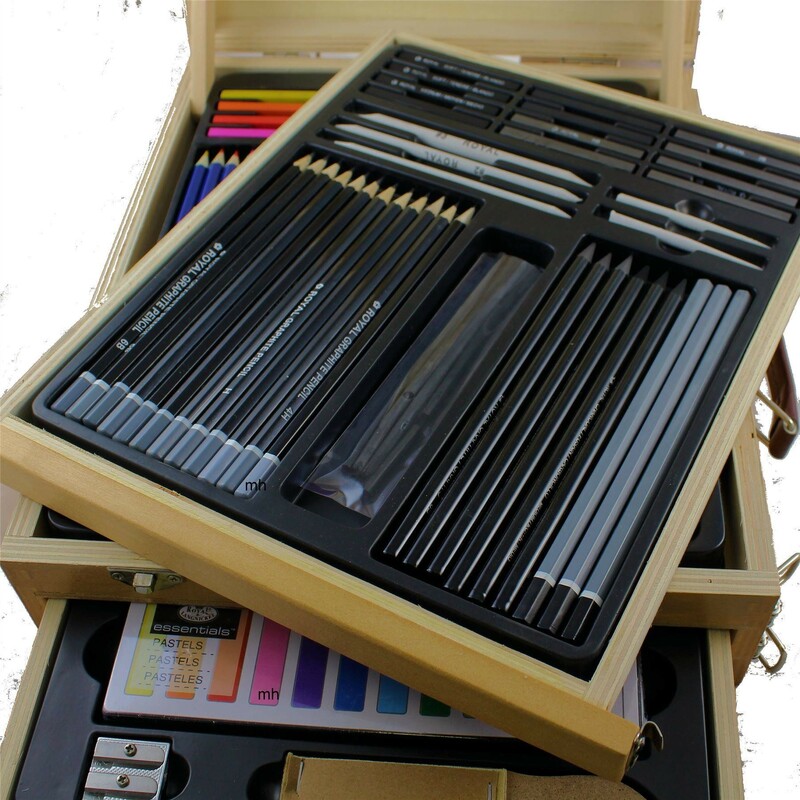 It is a comprehensive 124-piece collection of sketching and drawing tools ideal for any artist, regardless of skill level. 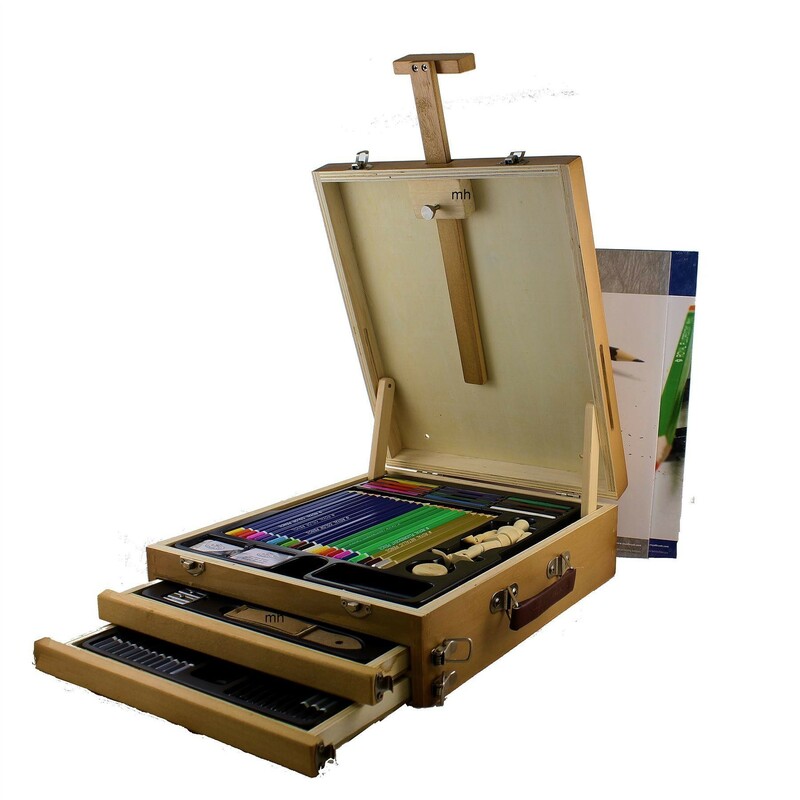 This set features a wide assortment of pencils, pastels, and charcoals neatly organized into a convertible, three-compartment storage chest. 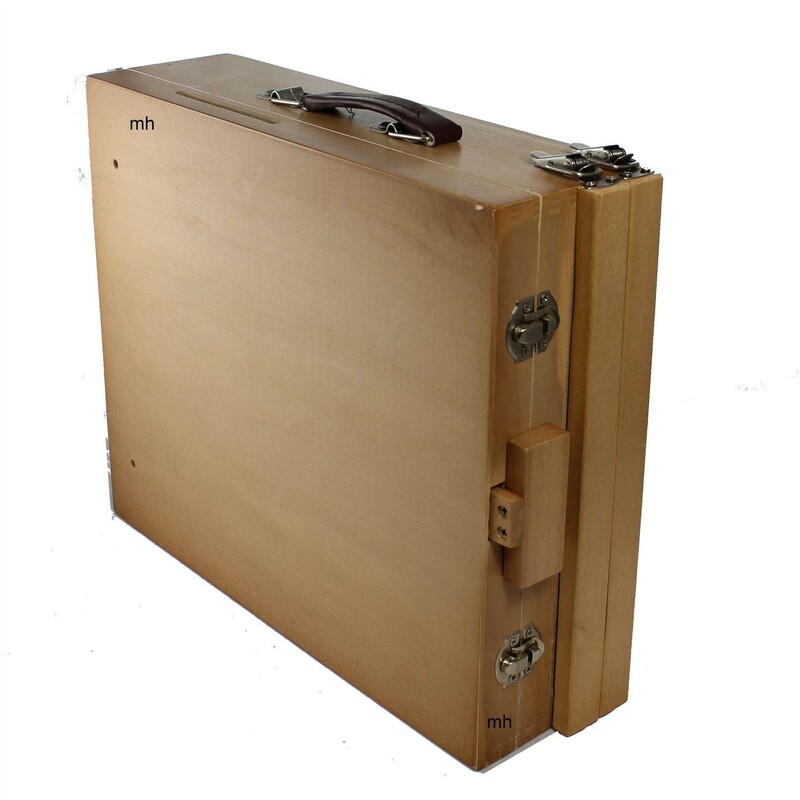 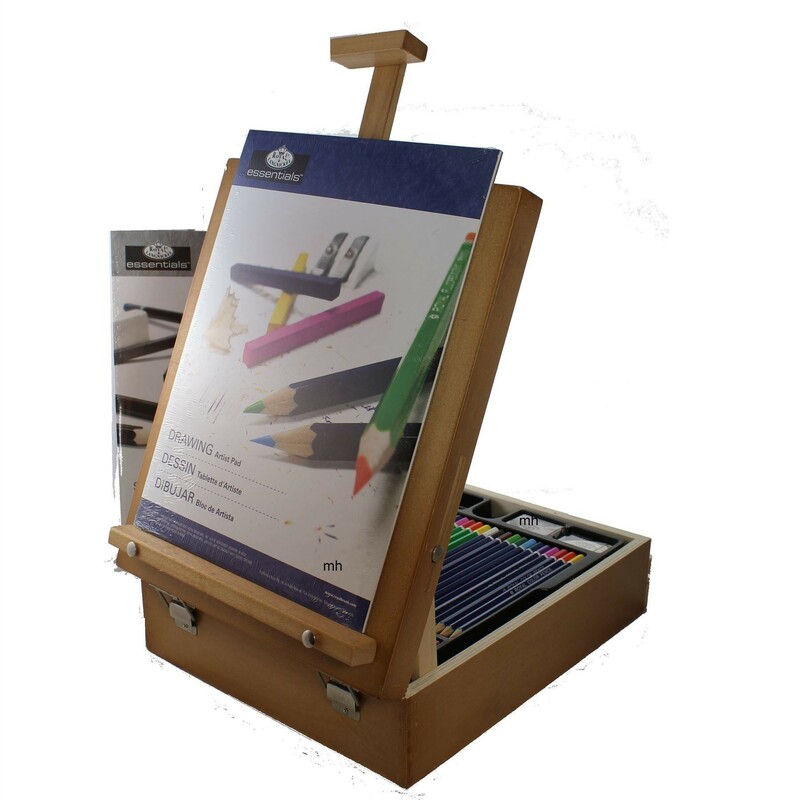 The wooden storage chest transforms into a sturdy table-top easel effortlessly. 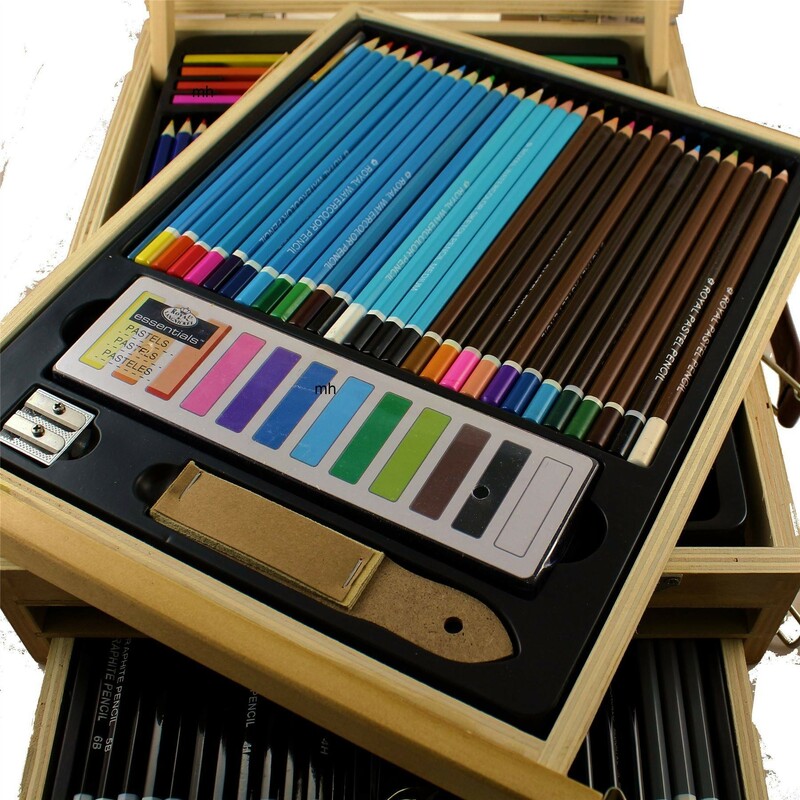 A great starter set by Royal and Langickel giving you a good taste of all styles of drawing and colouring equipment. 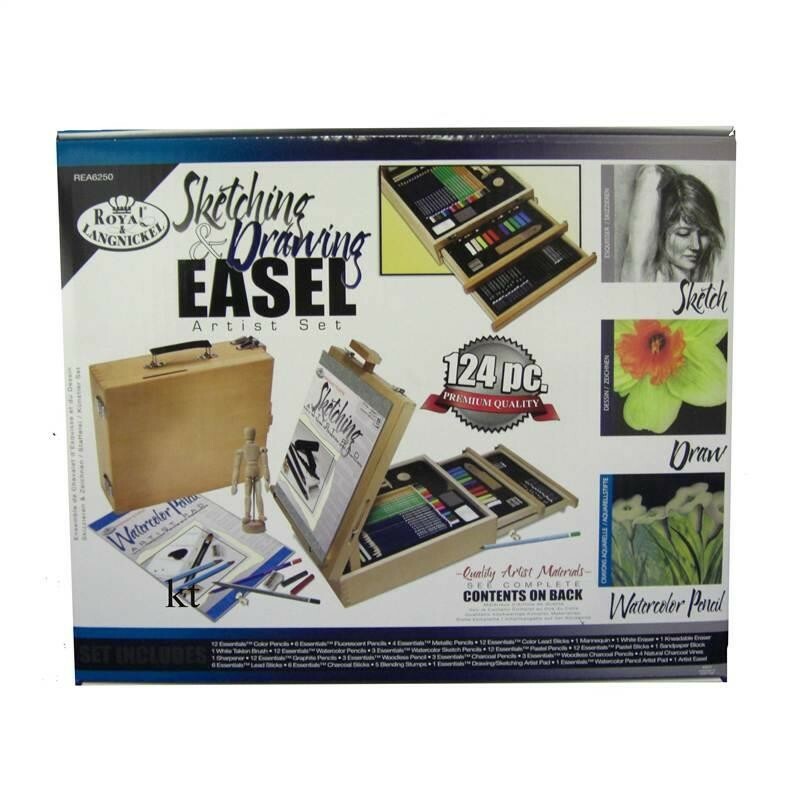 If you took out all the equipment that came with the easel out it is still amazing value.